Hutchings Safety Services Ltd has been a proud supporter of the Veterans Food Bank, via the Calgary Poppy Fund for the last 12 years. We run an annual food bank drive inclusive of our clients, friends, family and staff. Hutchings Safety Services Ltd is also proud to support the The Mustard Seed, since 2016. We provide free training to individuals to increase or maintain their employment skills. We thank all our supporters for these great causes. The Calgary Poppy Fund & Veteran’s Food Bank support Veterans, and their dependents who are in need, regardless of their age. An average of 60 hampers per month given out and there are options for pick up or delivery. The Calgary Poppy Fund & Veterans Food Bank is community minded and supports other organizations as well. Mission: To build hope and well-being for our most vulnerable citizens through Jesus’ love. The Mustard Seed has been an agent of change for three decades, thanks to our donors, volunteers and support from the community. The Mustard Seed has been serving people experiencing poverty and homelessness in Alberta since the ‘80s. It has become a haven for those needing help, which is offered through open hands with unconditional love. The Mustard Seed in Calgary offers an expansive range of innovative programs and services, including education and employment programs, health and wellness services, basic needs through a shelter for 370 men and women, spiritual care and housing. In March 2014, The Mustard Seed opened the 1010 Centre, which provides homes to 224 low-income individuals, many of whom have just come out of homelessness. 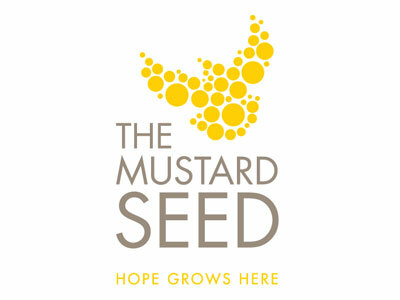 The Mustard Seed also has locations in Edmonton and Red Deer. At The Mustard Seed, we care about the whole person – physical, mental and spiritual. We recognize that the root causes of poverty and homelessness are complex and diverse, and so we continue to grow and evolve with the needs of those we serve.